AE-Resource: Is Your Firm Serious About Its Values? Countless studies and best-selling business books repeat the same refrain—values matter! The most successful companies typically have a strong set of values that guide all corporate activity. Thus most firms in our business, recognizing this trend, have adopted a formal statement of values or guiding principles. But there is wide disparity in the degree to which these values really impact the firm. Something cannot be called a value or principle if you are allowed to transgress it. Your firm can be said to have values to the extent that there are clear, nonnegotiable, minimum standards of behavior that the firm will tolerate. 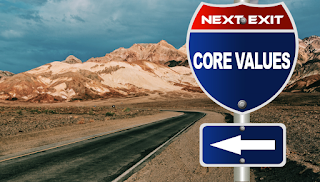 In particular, whether or not your values are operational (i.e., actually influencing what goes on in your firm) is crucially determined by whether or not there are consequences for noncompliance. In my experience, most firms, while claiming to embrace the high standards expressed in their values, repeatedly tolerate behavior that violates those values. For example, every value statement I've seen has something about serving clients and treating employees well. Yet there are typically a few individuals in every firm I've worked with whose actions are not consistent with those values. Are there any consequences for these individuals not supporting the company's values? Not usually, especially if they are key performers. If they have valuable technical credentials or bring revenue to the firm, they are commonly relieved of the responsibility to conform with the firm's standards of conduct. Of course, their prominent position in the firm makes their disregard for corporate values all the more damaging. The point of the story is that there aren't many firms with the courage to do what this firm did, which was to incur a short-term income loss in order to bet on the long-run benefits of sustaining their values. In most firms, an economically productive professional would rarely (if ever) be confronted about softer "values" issues. As a result, very few firms actually have real, operable values. They say they do, but few of the professionals really believe that they're serious. Interestingly, many firm leaders seem to fear that taking such a tough stance on values would be disruptive to the company's culture, which is shaped in part by the value of respecting and tolerating differences. But research and experience prove quite the opposite. Employees want to see their employer demonstrate intolerance when it comes to disregard for its values and standards. That's what reinforces the notion that the company really does stand for something. So what about your firm? Are you serious about your espoused values? Are they lived out in every facet of your firm's operations or merely attached to the wall? Are you willing to enforce them or are they just something nice to aspire to? Do your values guide your company's decisions, motivate your actions, set the standard for behavior?